The Pudding Hollow Pudding Festival will return on Sunday, October 6, 2019. Please plan to join us for this festive day of food and folk culture. You may enter a pudding in our contest or just enjoy the ambiance, the entertainment, and the delicious lunch. More details will be posted here soon, but START THINKING PUDDING NOW! 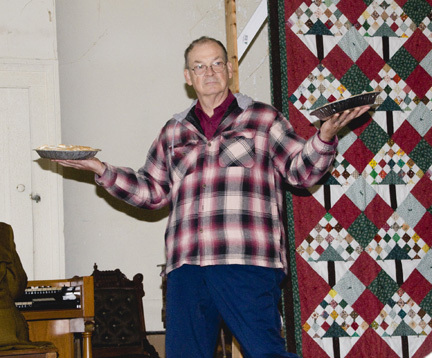 The musical entertainment staged a re-enactment of the first men’s pie contest in Hawley. Winner Clarence Gould was forced to learn to make pie because his fiancée Nettie King couldn’t handle pastry. The contestants anxiously awaited the results. 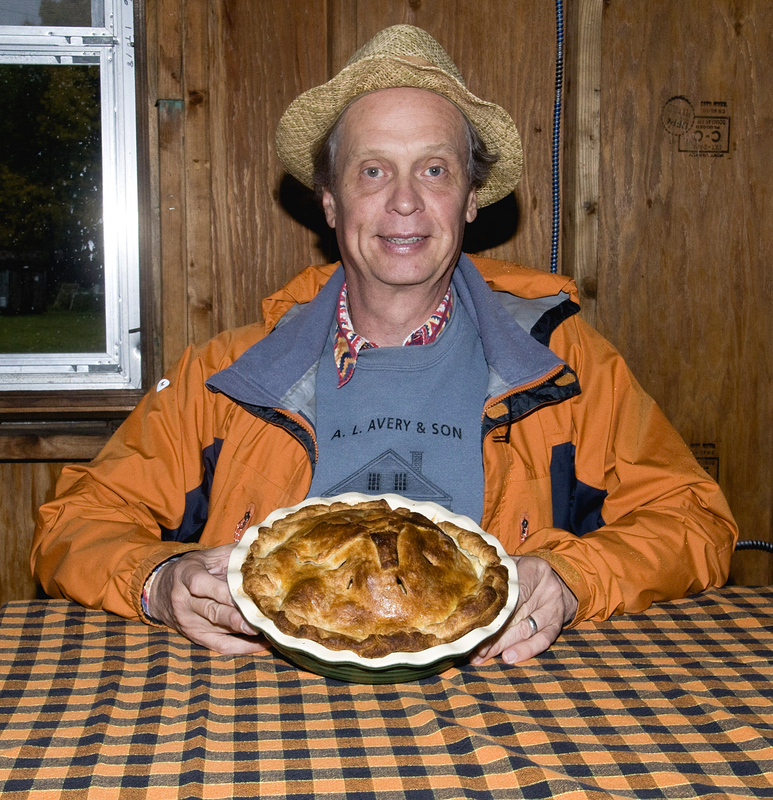 Finally, Will Cosby of Hawley was crowned the King of Pie and given his own Pie Apron. 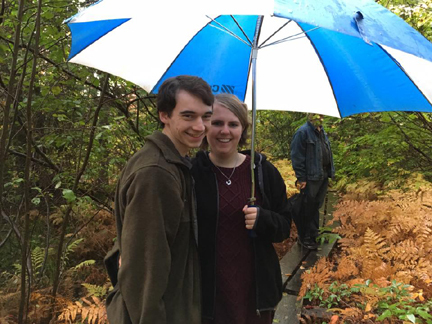 In short, a good time was had by all! Thanks to our donors and sponsors, to our diligent judges—Doris Cooper, Darra Goldstein, and Kathleen Wall—and to all who came! 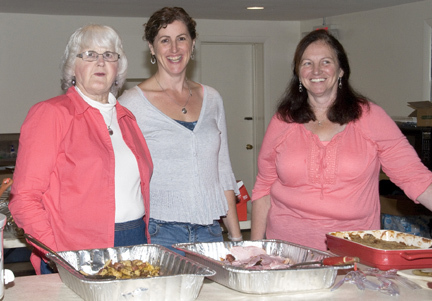 Special thanks as well to the lunch crew and to the wonderful people who took the photographs on this page: Georgette de Friesse, Suzy Groden, and Mardi Smith. By the way, Judge Kathleen has posted an essay about her part in the day. 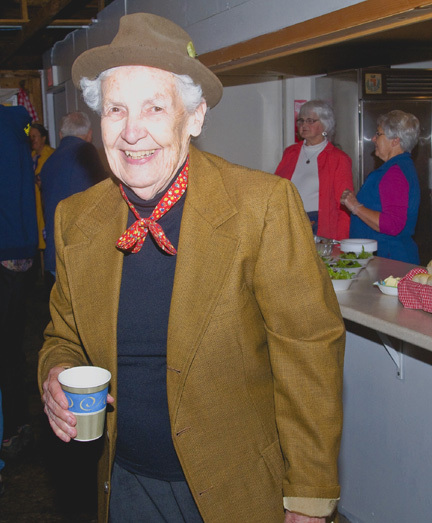 If you’ve ever contemplated judging a pie contest, here are her words of wisdom. If you’d like to hear Tinky talk about the Extravaganza on the Bill Newman radio show (her interview was a preview of the event; we hope lots of people heard it and attended! ), click here. Tinky’s segment begins at about 45:50. At one time there was a contest for the women sawing wood. 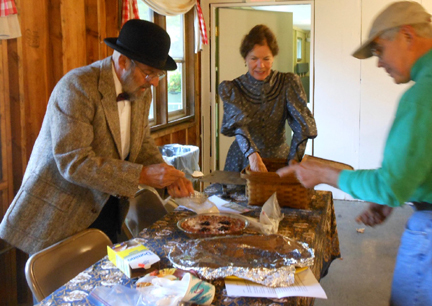 The men had a pie baking contest. 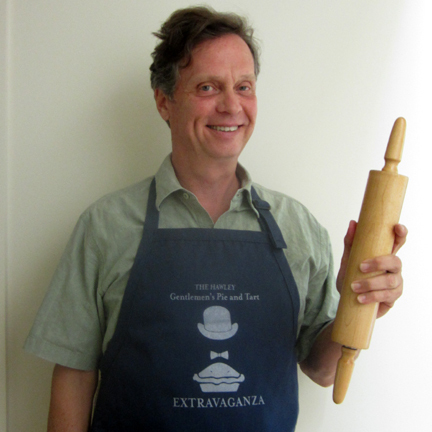 Mr. Clarence Gould got the prize for making the best pie. Several gentlemen in town have asked for a revival of the pie-baking contest. (No ladies have asked for a revival of the wood-sawing tradition.) And so in October we plan to re-introduce THE HAWLEY GENTLEMEN’S PIE AND TART EXTRAVAGANZA. 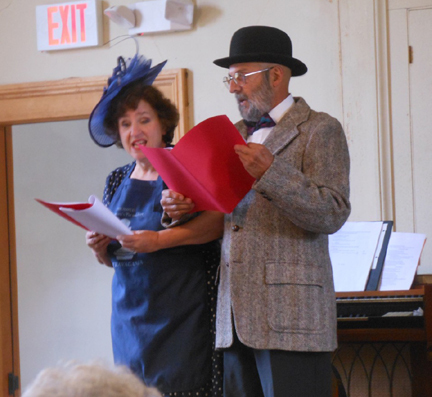 The contest will take place on October 9, the Sunday of Columbus Day weekend, at the Hawley Meeting House. The day will start with the arrival of the pies (due by 11 a.m., please!) at the Hawley Grove, across the road from the meeting house. While the judges deliberate, starting at 11:15, tours of nearby historical sites will be available for contestants and fans. 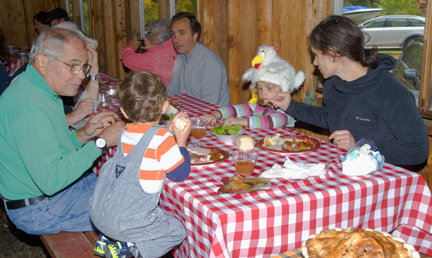 A delicious lunch hand-prepared by Hawley’s finest cooks will follow at 12:30 at the Grove. 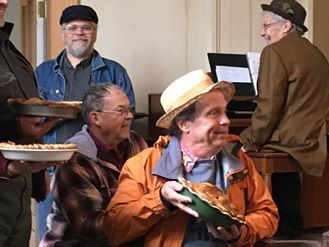 At about 1:30 (or whenever everyone has finished lunch), we will repair to the Meeting House for the Pie Parade, a brief musical entertainment, and the announcement of the winners! Start polishing those pie recipes! Please contact us if you have any questions. And if you’d like a preview (with pies! ), here’s a video. 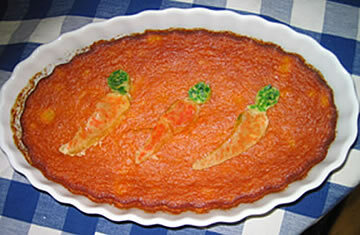 The recipe for Michael’s pie (and a link to the recipe for Tinky’s) may be found here. Our new Pudding Head, Leslie Clark, smiles as judge Damon Herring applauds. The 2014 Pudding Festival fell on a GORGEOUS day. The puddings were beautiful and tasty. And the audience was enthusiastic. 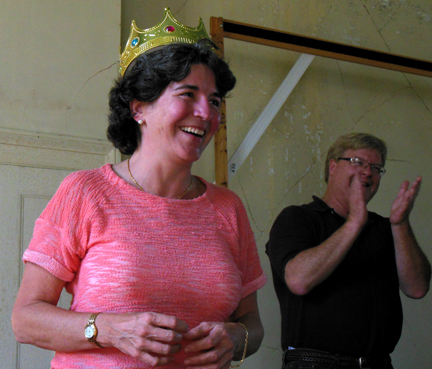 The 2014 Pudding Head is a new resident of Hawley, Massachusetts, Leslie Clark. She was surprised but happy to find herself the winner. The puddings arrived more or less promptly. Corn was still in season so we had three corn puddings! 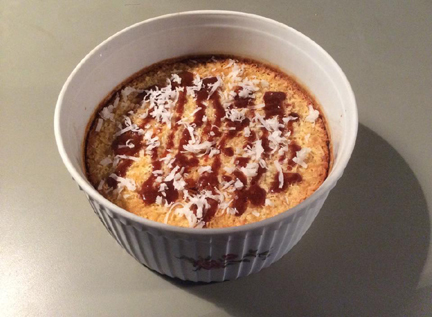 Leslie’s pudding was sweet rather than savory, however (sweet puddings ALWAYS seem to win our contest!). It was called Leslie’s Luscious Coconut Cream Custard. We did have a photo of the kitchen crew, who worked hard and produced a delectable lunch, but unfortunately the camera on which that photo is located is currently misplaced. Here instead is a picture of happy eaters. 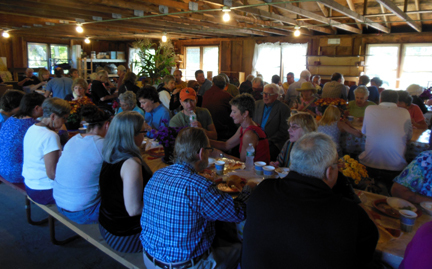 As you can see, the Hawley Grove was filled to the rafters. The pudding parade and entertainment went swimmingly. 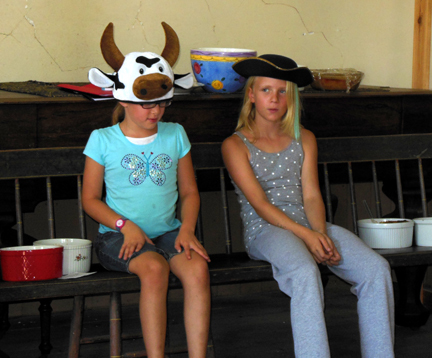 We had two cute cows onstage, plus a very youthful soldier leaving his mother to go off to war. Daniel Burt Jr. bids farewell to his mother. We sang and laughed and ate and enjoyed the beautiful town of Hawley. What more could anyone want? Thanks to Faith Montgomery Paul for taking most of these photos. Thanks to our judges (Michael Collins, Damon Herring, and Dédé Wilson) and our volunteers in the Sons & Daughters of Hawley and beyond, particularly musical director Alice Parker. And OF COURSE thanks to our donors. The prizes and the event were appreciated by all! 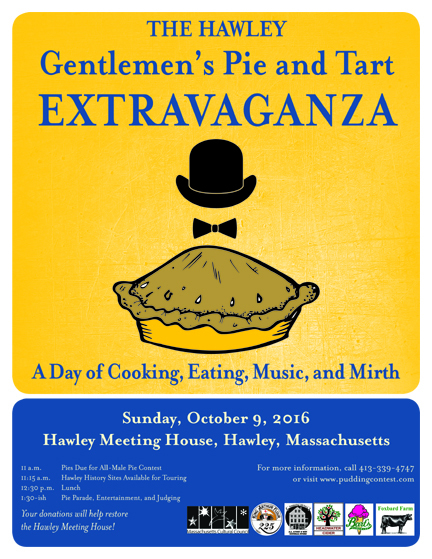 HAWLEY GENTLEMEN’S PIE AND TART EXTRAVAGANZA. 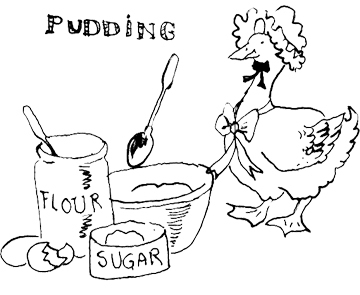 Pudding Day is almost here! Judges are debating attire, contestants are honing recipes, and members of the Sons & Daughters of Hawley are collating scripts and programs. 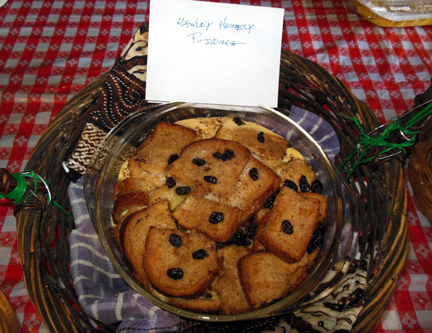 Puddings, recipes, and entry fees are due at the Hawley Grove, across the street from the Meeting House. 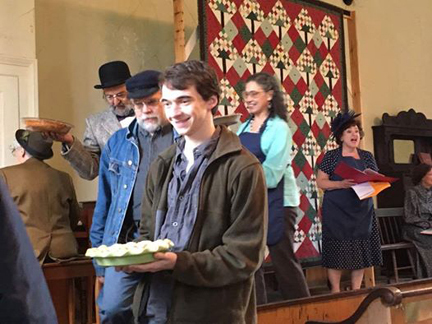 Pudding Parade, Entertainment, and Judging at the Meeting House. We’ll see you in Hawley! 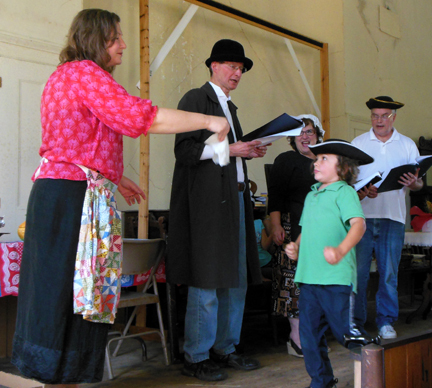 Don’t forget: the Pudding Hollow Pudding Festival is just around the corner, on Sunday, September 28. Please join us, with or without a pudding, for this highly enjoyable day in the country. There are only three weeks left until the Pudding Hollow Pudding Festival—and the day is shaping up! 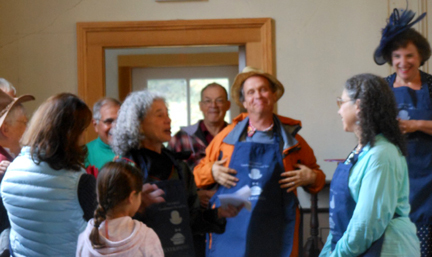 Prizes are starting to arrive, including the first prize (a combination of gifts: a blender/chopper from Cuisinart, a tea cozy from Ann Brauer Quilt Studio, and maple syrup from Wilder Brook Farm, plus much more). And we have our judges lined up. Two have been with us before. 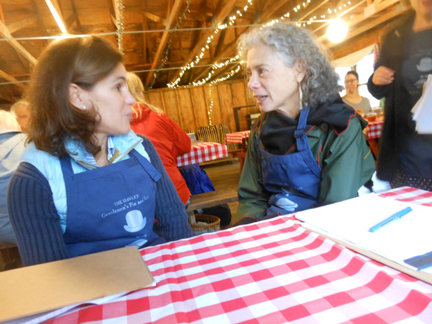 Kathleen Wall, colonial foodways culinarian at Plimoth Plantation, has judged almost every year. And Michael Collins, chef at the late Green Emporium, will taste pudding again in between work searching for a new restaurant. They will be joined by first-time judge Dédé Wilson. Dédé is a baking expert, a cookbook author, and the founder of the online baker’s resource Bakepedia. We are honored to welcome her. If you’re a cook, keep honing that great recipe and prepare to dazzle Kathleen, Michael, and Dédé. Please note that you need to enter ONLY on the day of the contest. Be sure to bring your recipe and a $15 entry fee (checks payable to the Sons & Daughters of Hawley). If you’re not a cook, plan to join us anyway for a day of fun, food, and music for a good cause……. Read about Pudding Hollow and its environs by following the blog of contest organizer Tinky Weisblat, In Our Grandmothers' Kitchens. The Pudding Hollow Cookbook offers stories and recipes from Hawley and surrounding hilltowns. NATURALLY, it includes a chapter titled "Humble Pie"!